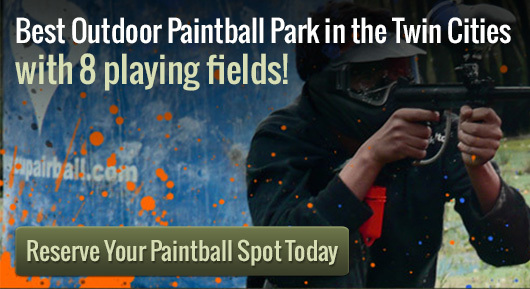 Action Packed has paintball locations all throughout the Twin Cities. There is nothing more thrilling than the sport of paintball. Paintball is highly competitive and fun for people of any age. It’s great for the act of sportsmanship it offers, as well as the general fun of the game itself. Paintball players often find that they are looking for a good venue to practice or play with friends. There’s no better place to plan your next paintball even than Action Packed Paintball Games in Jordan, MN. Action packed Paintball offers much more than your typical paintball locations. This outdoor paintball park has eight different playing fields. The location offers such amenities as paved parking, indoor restrooms and a spectator area for people who prefer to watch. Action Packed Paintball is great for the paintball aficionado and newcomer alike. The friendly and experienced staff members are extremely helpful in making sure that players have everything they need on the field. They offer rentals of all the equipment you’ll need, such as guns and paintball ammo. If you’re planning an event, you should contact Action Packed Paintball to make a reservation. You can also play through a walk in session, if you prefer to play with other players. Action Packed Paintball is different from most paintball locations in that it offers eight distinctly different playing fields to choose from. These range from civil war reenactment scenarios to jungle settings. Many paintball locations don’t have an attentive staff to help with playing. Action Packed Paintball makes sure that players are familiar with the rules and are set up to have the best time possible. Whether you’re a paintball professional, or just want to plan an exciting gathering for your family and friends, Action packed paintball is the only name in paintball you need to know. Contact Action Packed today to reserve a field.